Nine Blocks on one page to help you describe, design, or pivot your business model. Start with your customers and the value your business provides. Consider how you reach your customers and the messages you convey. Make predications and calculate revenue and expenses. Research, test, evaluate, and make good decisions. Fee: $20. Pre-registration is required. 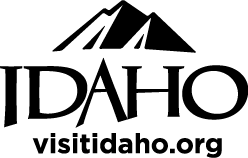 Please call 208-792-2465 or email ISBDC@lcsc.edu. 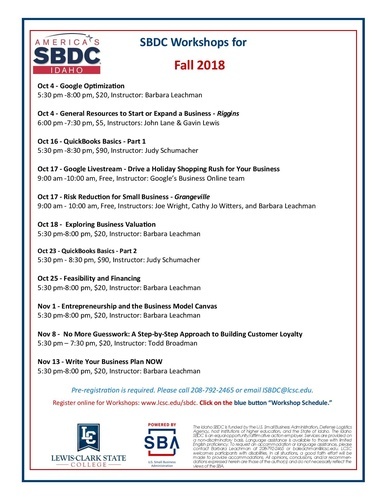 Register online for Workshops: www.lcsc.edu/sbdc. Click on the blue button “Workshop Schedule".